The keys of the "butterfly" keyboard in the 2016 MacBook Pro get stuck very easily. It's possible that's true of the 2018 models too. People around the world are hoping the new MacBook Pro models introduced today have a keyboard that’s been carefully designed to not have the same sticky keyboard keys as their predecessors. But it didn’t happen. A company spokesperson says the problem of grit causing the keys to stick in previous macOS laptops was not addressed. But that’s not necessarily the whole story. It’s possible Apple did fix the problem but doesn’t dare talk about it. Apple told Cnet that the MacBook Pro keyboard redesign was only to make it quieter. No attempt was made to address the complaints of users that tiny flecks down in the mechanism can permanently disable keys. But it could be keeping quiet for legal reasons. The keyboard in recent MacBook Pro models is the subject of lawsuit after lawsuit after lawsuit. Some people are asking Apple to pay to replace the keyboard in every MacBook Pro sold since 2016 because the keyboard keys can become permanently stuck. 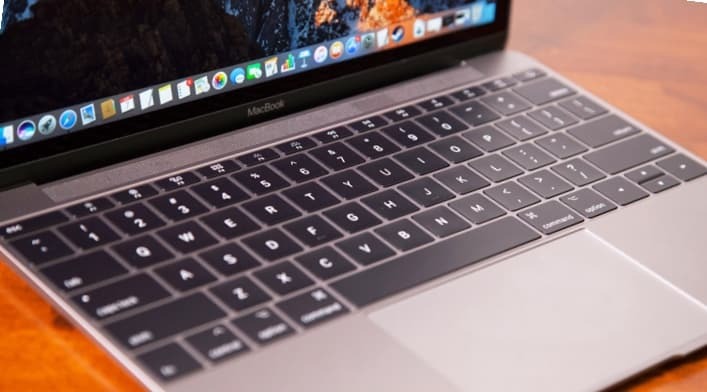 If Apple says that the new, third-generation “butterfly” keyboard in its 2018 MacBook Pro models has been designed to fix the sticky keys problem, that’s admitting that the older devices have the problem. The lawyers in the various class-action lawsuits working their way through the court system will seize on this admission as reason why Apple should pay for fix, or even replace, every affected MacBook keyboard. So Apple can’t say it changed the design of the butterfly keyboard specifically to make it less likely keys will get stuck. But that doesn’t mean it didn’t do it. It would make a great deal of sense for Apple to have quietly redesigned the keyboard mechanism. Not only is the company having to pay for warranty replacements for stuck keys, it’s taking a hit from a public relations standpoint. Even if Tim Cook and Co. had their collective heads in the sand about the lawsuits and the well-publicized recall petition, one of the design goals of any keyboard mechanism is to not have it become gummed up by minute flecks. Apple is clearly calling this the third-generation of its butterfly mechanism, so it went though a redesign. The problem could (and should) have been fixed with good engineering, even if that wasn’t specifically part of the plan. The smart thing to do would be to redesign the butterfly keyboard mechanism. But companies, not even Apple, always do the smart thing. Apple only admitted last month that it’s aware of problems with the MacBook Pro keyboards. And it says this affects “a small percentage” of devices. Maybe the company thinks a comparative handful of people are making a mountain out of a molehill. So perhaps the only improvement in the third-generation butterfly keyboard is that it’s a bit quieter. If that’s the case though, the screams of people whose keys get permanently stuck won’t be any quieter. Unfortunately, the only way to find out if the sticky keys problem has been fixed is to wait and see how the 2018 MacBook Pro models perform in the real world.